Management of TURBO Bearings is step ahead in building up strength through staff training programs. TURBO continuously conduct training programs for their staff to create effective and efficient man power, which ultimately results in producing best quality of bearings. 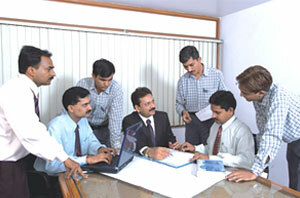 Thus building up skill through staff training programs reflect broad vision of management team of TURBO Bearings. TURBO is always involved in creative research and development with its rich experience, highly skilled staff and the latest equipments. Our technical and production team always shares their knowledge to improve the product quality for best performance of TURBO bearings. We believe and maintain our innovative strength and we invest a considerable amount in research and development work, to improve product quality. We also conduct seminars on bearing technology at our customer's premises. "QUALITY IMPROVEMENT IS A CONTINUOUS PROCESS." 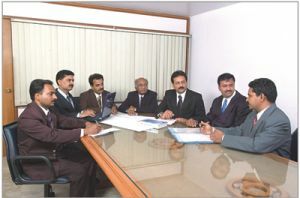 In any company, staff / employees play vital role in the progress of company. TURBO invests a significant amount every year on training programs of staff, to enhance employee's skills and to gear up its people to take challenges and keep in touch with changing market needs. In TURBO, employees are fully trained to focus on continuous improvement in their respective job functions.